1Department of Neurosurgery, University of Florida, 2Department of Anatomical Sciences, Shiraz University of Medical Sciences, 3STEMCELL Technologies, Inc. This video protocol demonstrates how to discriminate and enumerate bona fide neural stem cells in a mixed population of neural precursor cells using the neural colony-forming cell assay. Azari, H., Louis, S. A., Sharififar, S., Vedam-Mai, V., Reynolds, B. A. Neural-Colony Forming Cell Assay: An Assay To Discriminate Bona Fide Neural Stem Cells from Neural Progenitor Cells. J. Vis. Exp. (49), e2639, doi:10.3791/2639 (2011). The neurosphere assay (NSA) is one of the most frequently used methods to isolate, expand and also calculate the frequency of neural stem cells (NSCs). Furthermore, this serum-free culture system has also been employed to expand stem cells and determine their frequency from a variety of tumors and normal tissues. 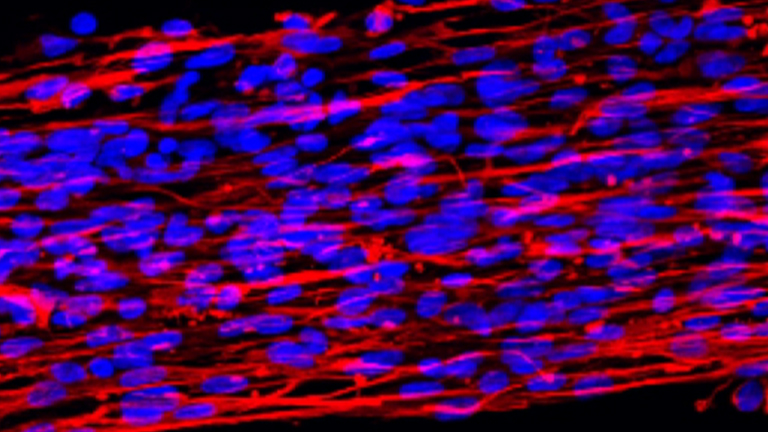 It has been shown recently that a one-to-one relationship does not exist between neurosphere formation and NSCs. This suggests that the NSA as currently applied, overestimates the frequency of NSCs in a mixed population of neural precursor cells isolated from both the embryonic and adult mammalian brain. This video practically demonstrates a novel collagen based semi- solid assay, the neural-colony forming cell assay (N-CFCA), which has the ability to discriminate stem from progenitor cells based on their long-term proliferative potential, and thus provides a method to enumerate NSC frequency. In the N-CFCA, colonies ≥2 mm in diameter are derived from cells that meet all the functional criteria of a NSC, while colonies < 2mm are derived from progenitors. The N-CFCA procedure can be used for cells prepared from different sources including primary and cultured adult or embryonic mouse CNS cells. Here we use cells prepared from passage one neurospheres generated from embryonic day 14 mice brain to perform N-CFCA. The cultures are replenished with proliferation medium every seven days for three weeks to allow the plated cells to exhibit their full proliferative potential and then the frequency of neural progenitor and bona fide neural stem cells is calculated respectively by counting the number of colonies that are < 2mm and the ones that are ≥2mm in reference to the number of cells that were initially plated. Appropriate volume of complete NSC medium is prepared by mixing NeuroCult NSC Basal Medium and NeuroCult NSC Proliferation Supplements at a 9:1 ratio, respectively. An aliquot of NeuroCult NCFC Serum-Free Medium without Cytokines is thawed. The medium is warmed up in a 37°C water bath. Stock solutions of epidermal growth factor (EGF), basic fibroblastic growth factor (b-FGF) at the concentration of 10 μg/mL and heparin at 0.2% are prepared ahead. Depending on the experiment size, several 35mm tissue culture dishes are needed to plate the cells and one 150-200cm plastic Petri dish is also needed to hold the duplicate 35mm dishes and a third 35mm dish for water. The single cell suspension is passed through a 40-μm-size mesh filter so as to remove non-dissociated clumps. 10μl of the cell suspension is mixed with 90μl of Trypan blue to perform a cell count. Note: Other appropriate cell dilutions can also be used. If using primary embryonic or adult derived neural cells, dilute the cell suspension to a concentration of 6.5 x 105 cells/mL in complete NSC medium. If using cells from dissociated neurospheres derived from adult or embryonic neural cells, dilute the cell suspension to a concentration of 2.2 x 105 cells/mL in complete NSC medium. The appropriate volume of the following components is mixed in order, depending on the number of replicates. Here we mix the amount needed for two replicates or duplicate dishes. For additional numbers of replicates, please refer to table 1. 3.3 μL of b-FGF (10μg/mL) required only if culturing cells derived from adult neural cells. 3.3 μL of heparin (0.2%) required only if culturing cells derived from adult neural cells. 25μL of cell suspension (of 2.2 x 105 cells/mL cells from dissociated neurospheres or 6.5 x 105 cells/mL primary cells from dissociated CNS tissue). Note: The final cell numbers plated should be about 2500 cells per 35 mm culture dish for neurosphere derived cells and 7500 cells per 35 mm culture dish for primary cells. In some cases, the final cell plating density has to be adjusted by performing a cell titration experiment. For statistical analyses, the total number of colonies detected after 21 days of culture should be within the range of at least 50 - 150 colonies. The medium containing the cells is mixed gently and then 1.3 mL of cold Collagen solution is transferred to the cell suspension and mixed well by gentle pipetting to avoid introducing any bubbles. The mixed solution is dispensed to the center of each 35mm culture dish (~1.5 mL/dish) and the dishes are tipped gently using a circular motion to let the mixture spread evenly over the surface of the dish. . The duplicate 35 mm culture dishes are placed into a 100 mm Petri plate. The lid of new 35 mm dish is removed and the open dish is also placed in the same 100 mm Petri dish. Sterile water is added to this open 35 mm dish to maintain optimal humidity during the incubation period. Square bioassay plates (245 mm) are used when more replicate 35 mm dishes have been set up. Again, include 2 or 3 open 35 mm dishes containing sterile water. The plates are transferred to an incubator set at 37°C, 5% CO2 and 95% humidity. The collagen congeals by increasing temperature and gel formation will occur within approximately one hour. The cultures should not be disturbed during this time. Cultured cells are incubated for 21 days (differences in colony size can be clearly distinguished after 21 days). 125 μL of 10μg/mL b-FGF (to give a final concentration of 0.25μg/mL b-FGF) required only if culturing cells derived from adult neural cells. 125 μL of 0.2% Heparin, required only if culturing cells derived from adult neural cells. 60 μL of the appropriate complete NeuroCult Replenishment Medium (for embryonic or adult cells) is added into the center of each NCFC Assay dish once every 7 days during the entire NCFC Assay culture incubation (21 days). Each 35 mm culture dish is placed on a gridded scoring dish with the grid size of 2.0 mm x 2.0 mm and then both dishes are placed on the microscope stage. Using low power (2.5X - 5X) objective lens, each dish is scanned and the colonies are scored based on their sizes. 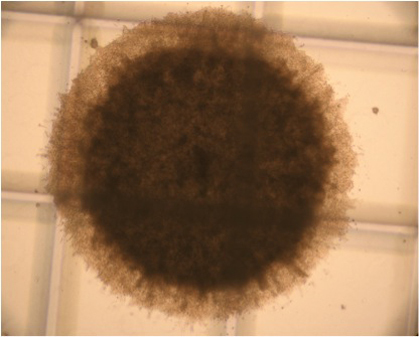 As in neurosphere assay, cells plated in N-CFC assay start to proliferate and make small colonies of cells within 3 - 7 days after plating (Figure 1). In two weeks time, colonies of different sizes can be distinguished. While the majority of colonies tend to stop growing after 14 days, some colonies continue to increase in size. By day 21, colonies can be classified into one of the four categories: 1) less than 0.5 mm diameter, 2) 0.5 - 1 mm diameter, 3) 1 - 2 mm diameter and 4) ≥2mm in diameter. Practically, colonies smaller than 2 mm diameter are referred to as progenitor derived (Figure 2) and colonies ≥2mm in diameter are referred to as NSC derived (Figure 3). The number of colonies ≥2mm in diameter per total cells plated, represents the frequency of the actual bona fide neural stem cells with long-term self-renewal and multi-potential capabilities. The total neurosphere forming frequency in a particular cell population after 7-8 day in a parallel NSA experiment has been estimated to be similar to the total colony forming frequency of the same cell population after 21 days in a N-CFCA experiment. The N-CFCA however, provides a more permissive condition so as each cell can show its full proliferative potential. Table 1. Components of complete N-CFC assay culture. Ensure a single cell suspension in the original cell suspension. Pass your single cell suspension through a 40-μm-size mesh filter so as to remove non-dissociated clumps. Keep the collagen solution on ice or in the +4° C fridge. Collagen is the last item to be added to the mixture of cell suspension as it congeals by increasing the temperature. Do not forget to feed the culture every week. Adding the replenishment medium containing growth factor(s) once every 7 days will allow cells to continue to proliferate over the extended culture period. One of the authors, Sharon A. Louis, is affiliated with StemCell Technologies Inc, a producer of some reagents used in this study. Azari, H., Rahaman, M., Sharififar, S., Reynolds, B. A. Isolation and Expansion of the Adult Mouse Neural Stem Cells Using the Neurosphere Assay. J Vis Exp. (2010). Azari, H., Sharififar, S., Rahaman, M., Ansari, S., Reynolds, B. A. Establishing Embryonic Mouse Neural Stem Cell Culture Using the Neurosphere Assay. J Vis Exp. (2011). Reynolds, B. A., Weiss, S. Generation of neurons and astrocytes from isolated cells of the adult mammalian central nervous system. Science. 255, 1707-1710 (1992). Reynolds, B. A., Rietze, R. L. Neural stem cells and neurospheres--re-evaluating the relationship. Nat Methods. 2, 333-336 (2005). Louis, S. A. Enumeration of Neural Stem and Progenitor Cells in the Neural Colony Forming Cell Assay. Stem Cells. (2008). Golmohammadi, M. G. Comparative analysis of the frequency and distribution of stem and progenitor cells in the adult mouse brain. Stem Cells. 26, 979-987 (2008). Louis, S. A., Reynolds, B. 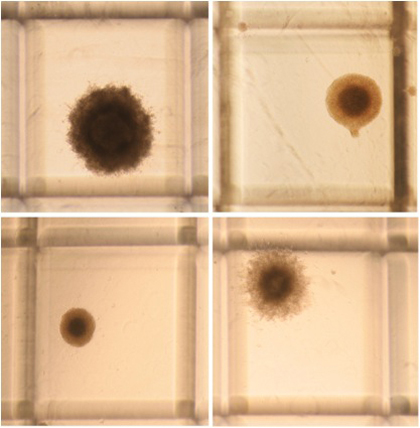 A. Neurosphere and Neural Colony-Forming Cell Assays. Protocols for Neural Cell Culture. 10, 1-28 (2010). Please email me at azari.hassan@gmail.com if you have any questions regarding this assay. this video demonstration is awesome. I want to know how many times we can do subculture. Coz I did three subcultures. Each time I am dissociating with Neurocult (stem cell) dissociation kit. For the first three subcultres it is forming neurspheres. After three times it is not forming neurospheres. Is it the same case with you. If not why it is not forming neurospheres after three subcultres. Our NeuroCult product scientist alerted us to your inquiry and remarks. Could you please contact us at techsupport@stemcell.com and we can troubleshoot what might be occurring. Please put "Culturing NeuroSpheres - Case: 0003303²" in the subject line. As well, could you please include some details about your cell source as well as culture conditions? Any photos you might be able to provide might also help. As well, please let us know if you have any other questions or concerns.